Despite Predictions, Mortgage Rates Remain Low…But For How Long? Rumors that The Federal Reserve may raise interest rates have not affected the market…yet. For all this talk of the impending rise in mortgage interest rates, the first week of August ended on a good note with rates hovering just UNDER 4 percent (3.98 percent as of Friday, August 7th). The market is in pretty good shape at the moment, with the recent jobs numbers from the Bureau of Labor Statistics bolstering confidence along many financial lines. Of course, this confidence may eventually lead an increase in inflation; something the Federal Reserve would like to avoid. So how do we curb inflation as the nation’s economy improves? Many signs point to raising the base rate at which banks borrow money. In essence, this move trips a proverbial “breaker switch” with businesses and financial institutions, causing them to rethink their decisions on raising prices on goods and services. That being said, even a slight push upward in Federal rates will have an impact on the real estate market, even if it’s only temporary. Federal Reserve Chair Janet Yellen has hinted that rates may rise as early as September. 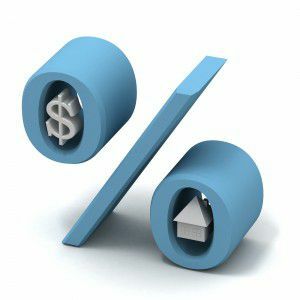 Knowing that rates have dropped once again BELOW 4 percent should give “on-the-fence” home buyers incentive to rethink their position and lock in a low rate ahead of any potential national rise in rates. Keeping in mind that an upward bump may disqualify some buyers, or at least reduce their purchasing power, if you’re considering selling your home, this may be the time to contact us about how any potential upcoming market changes may affect the value of your home. It’s a great opportunity to explore your options, and revisit your long term financial goals. We are a team of licensed, full service, highly trained Realtors ready to serve all of your home buying and selling needs. If it’s time to consider your real estate goals, we’re here to help.